Christopher “Topher” Hamblett is the organization’s founder and president. He served in the Peace Corps in Sierra Leone (Kailahun District, 1985-87). Topher has two decades of experience in advocacy, project management, and fundraising for organizations in the U.S. and West Africa. 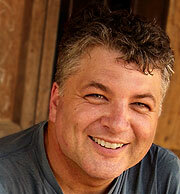 He is the Director of Advocacy for Save The Bay, Inc. of Providence, Rhode Island. He has served on the Board of Directors of the International Institute of RI and Common Cause – RI. M. Lamin Sarr serves as Vice-President and Secretary. 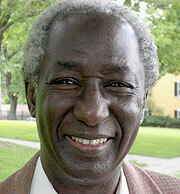 Lamin earned a bachelor’s degree in International Relations from Brown University. He conducted his post-graduate studies at the Wood Holes Oceanographic Institution, and the School for Marine Studies, College of Fisheries and Marine Sciences at the University of Washington. He is founder and President of the Sarr Consulting Group, LLC, whose clients have included the United Nations, the Clinton Foundation’s HIV/AIDS Initiative, the Annie E. Casey Foundation, the State of Rhode Island and The International Institute of Rhode Island, where he also worked as Deputy Executive Director. Lamin is the founder of Middle Passage Reversal Project, and is deeply committed to strengthening the connections between the people of Africa and the United States. Barbara Badio serves as FWA Treasurer. 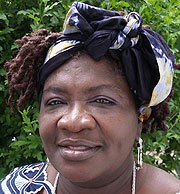 She was raised in Sierra Leone and Liberia, and is a teacher at Nathanael Greene Middle School in Providence, RI. Barbara has earned bachelor's and master's degrees in education. She earned a Certificate of Advanced Graduate Studies in Educational Leadership/Curriculum and Instruction from Cambridge College, Masschusetts. She has served as Vice-President of the Sierra Leone Descendants Association of RI and volunteers for the Liberian Community Association of RI. Barbara brings to FWA her experience in, and a passion for, educating children.